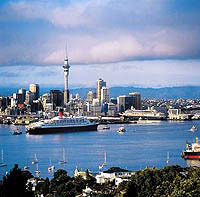 Known as the 'City of Sails', Auckland is the gateway to exploring New Zealand. Nestled between two harbours and 48 volcanic cones, this cosmopolitan city hosts an array of activities, eateries and stunning landscapes. From the spectacular golden sand beaches of the east coast to the black sand of the west, to the lush farmland that surrounds the outer edges, you will enjoy exploring this vast playground. Take a half or a full day tour to experience the culture, understand the history and enjoy the scenery of this fascinating city. Travelling north from Auckland your journey into Northland will take you through rolling countryside, rural towns and past sandy beaches to Paihia, situated in the beautiful Bay of Islands. Regarded as the birthplace of New Zealand, Northland is rich in both culture and early Maori and European history - from Kupe, believed to be the very first Maori voyager to arrive in New Zealand over 1,000 years ago, to the signing of the Treaty of Waitangi between Maori and the Crown. The Bay of Islands is a stunning region consisting of 144 islands abundant in natural beauty and marine life. You can experience it to the full by swimming with dolphins or visiting the famous Cape Brett Hole in the Rock. 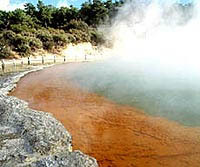 Discover Rotorua - an area steeped in Maori culture, history, geothermal activity and stunning lakes. Built on a geothermal field, Rotorua is the perfect backdrop for some of New Zealand's most accessible cultural experiences. You can watch a geyser erupt, pick your way around a bubbling mud pool, and gain an understanding of traditional Maori history and culture. Here you can also take in the landscape surrounding Rotorua, from the 1886 Mt Tarawera eruption that covered the country side in ash to the lush fields that support a thriving agricultural industry. Wellington is New Zealand's capital city and the southernmost city in the North Island. Surrounded by hilly terrain and with a stunning natural harbour, Wellington offers plenty of things to see and do for families and independent travellers alike. Wellington boasts natural attractions like Mount Victoria, the Botanic Gardens (best accessed by Wellington's iconic Cable Car), Zealandia native wildlife sanctuary and local tours of the city and surrounding region. 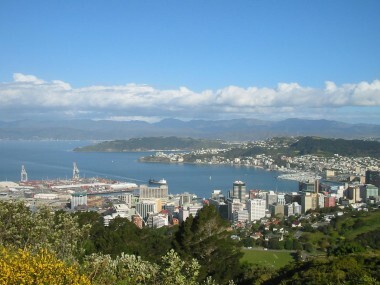 Wellington is also known as 'Wellywood'. The name - a conflation of Wellington and Hollywood - a reference to the film production business established in the city by The Lord of the Rings film trilogy and King Kong director Peter Jackson, who's business operates a number of film-related facilities in the Wellington. A blend of outdoor adventures and sophisticated city culture, this region extends from the sandy beaches of the east, to the stunning Southern Alps of the west. Christchurch is described as being "more English than England." This attractive city is alive with colour, historical charm and atmosphere. Christchurch is delightful for visitors in any season...whether punting on the Avon River during the warmth of summer or visiting the city's art galleries on a crisp winter's day. You'll be swept away by the landscape of the flat Canterbury Plains, from the massive hydro dams, to the blue waters of Lake Tekapo and the awe-inspiring backdrop of Mt Cook. Declared a World Heritage park in 1986, Mt Cook National Park boasts over thirty 3,000 metre high peaks, and five of NZ's largest glaciers including the Tasman Glacier at 21km in length. At 3,751 metres, Mt Cook (Aoraki - in Maori means "cloud piercer") is the highest mountain peak in New Zealand. As you travel south from Mt Cook, you will meander through the tawny tussock land of the Mackenzie Country. Sit back and take in the natural wonders and ever changing environment of this spectacular region. 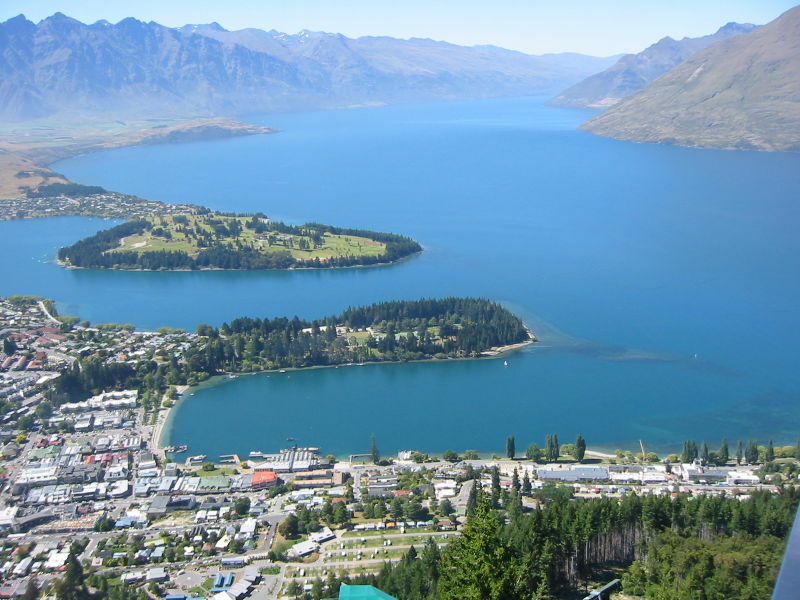 Queenstown is an internationally recognised four seasons alpine and lake resort. 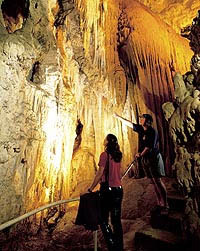 With a wide variety of things to see and do, it is perfect for adventurers and leisure seekers alike. 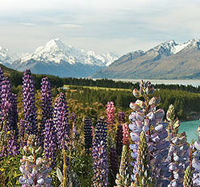 The world-renowned tourist destination of Queenstown, a lake, ski and alpine resort and New Zealand's adventure capital. There are things to see and do in Queenstown in all seasons. From bungy jumping to wine tasting, Lord of the Rings film locations to historic gold mining towns and jet boating on the Shotover River, there are activities and attractions in Queenstown to whet every appetite. Sitting close to four excellent skifields, Queenstown is also home to boutique shops and a wide variety of bars and restaurants, making it a great spot to relax and spend time. Queenstown, nestled between towering snow-capped peaks and the picturesque Lake Wakatipu, is well known for its outstanding landscapes, popular ski fields and numerous outdoor activities. Te Anau, positioned to the south west of Queenstown, is the gateway to uncovering the hidden secrets of the World Heritage Fiordland National Park and the breathtaking Milford Sound. It is a place of awe-inspiring landscape, dramatic rivers and cascading waterfalls...a place to become one with nature. Despite being one of the most assessable fiords, Milford Sound remains quiet and still, bounded by steep cliffs and dense rainforest. 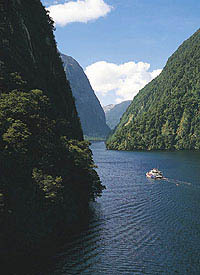 As part of the World Heritage Fiordland National Park, Milford Sound is perhaps the most serene of all the fiords. All Great Sights coaches into Milford Sound are equipped with glass roofs.